Getting a new pet is an amazing thing. These adorable creatures are fun and a pleasure to be around. They help ease some of life’s stresses away and that’s why the young and the old love them. Taking care of pets, however, is not as easy as most people assume it to be with a lot of effort is required to keep them healthy, safe and secure. Pets are also known to be mischievous and pet owners are, therefore, tasked with ensuring that their mischief doesn’t get them into a lot of trouble. 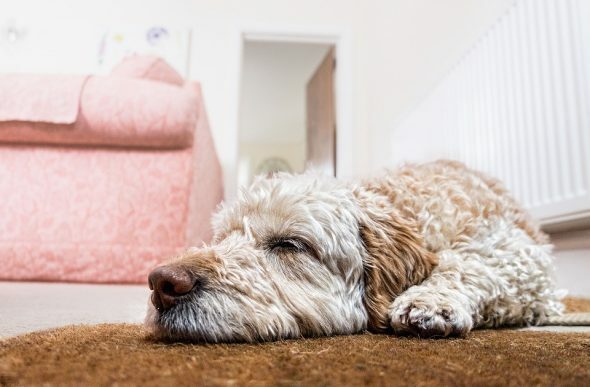 This entails pet-proofing the home so as to ensure that the pets don’t injure themselves and consume substances that are harmful to their health. To help pet owners in this regard, here are 4 useful tips for pet-proofing your home. Protect your pets from electric hazards. Pets love chewing on stuff and if there are dangling wires in your home, they could chew on them as well. Electric cords could electrocute them and this can be quite catastrophic. Pet owners should, therefore, strive to ensure that the cords in their home are not exposed or within the pets reach. Pet owners should use cord covers to secure electric cords in their homes. Dangling wires should also be properly secured and hidden appropriately. Such measures to ensure that electric cords are properly secured are also helpful if you have young kids in your home as they will ensure they don’t get electrocuted as well. String-like items are harmful to pets. Keep your pets away from them. This measure also borrows from the fact that pets like chewing on stuff. Pet owners should ensure that their pets only chew on items that are good for their health and string-like items are not among them. Our homes are full of these strings and pet owners should strive to keep them away from their pets as much as possible. This includes ribbons, strings, and rubber bands. These string-like items are not only a choking hazard, they can damage your pet’s digestive tract as well. Pet owners should, therefore, clean the homes and remove any of these strings. When cleaning rat cages, make sure that they are free of all strings as well. Some house plants are harmful to pets. House plants enhance the indoor environment but for the safety and well-being of your pets, there are a few species that you should stay away from. This includes lilies, azaleas, and poinsettias that are highly toxic to pets. Consult your local vet for more information on the plant species that are harmful to your specific pet. Avoid pet poisoning with common kitchen items. Some food items that are safe for human consumption are very dangerous to pets. They include chocolate, coffee, macadamia nuts and yeast dough. Pet owners should, therefore, strive to keep these items far away from their pets as possible. Kitchen cabinets that are used to store these items should be locked properly to prevent your pets from accessing them.